Although some toys are just obviously dangerous, there are others with a potential for harm more insidious and subtle. According to the latest statistics from the American Psychological Association (APA) more than 90% of all children play video games, and 97% of all teenagers. But, while we were looking the other way, at the dangers of violent video games, choking hazards, and hoverboards, a new toy, produced by Mattel and Toy Talk, was introduced this year. Designed for three to nine year olds, and cleverly disguised in the familiar pink plastic perfect body with straight long blond hair. Hello Barbie, a doll with Advanced Artificial Intelligence, is no Talking Elmo. She doesn’t just talk. She listens. Or, to be more precise, a mega-million dollar corporation listens – to your child’s most intimate thoughts, wishes, dreams, and desires – and stores them in the cloud for future referencing. Hello Barbie has been preprogrammed with scripted lines designed to engage young girls in conversation. Whatever your child reveals, whether it is joy, anger, loneliness, insecurities, or precious secrets, adds to Barbie’s digital bank of information-just like a “real friend” Barbie can refer to a comment made several weeks after having been told. If your child shares with Barbie that, “Nobody likes me.” Several days later Barbie may say, “Have you made any new friends at school?” But, unlike a fickle “real friend” Barbie will always remember your child’s likes and dislikes while being perennially sycophantic . No matter what the subject, her face will remain expressionless except for a permanent pert smile. The doll is designed so that the more that a child tells Barbie, the more reality and fantasy merge. For young children, who already have a strong disposition to anthropomorphize, this blurring has a potential for psychological damage in ways that we can only guess. Do you want your child exposed to anything that executives at Mattel decide to tell her? Do you want them to know what your child is most afraid of and what she most desires? In the name of profit, our children are being used as guinea pigs in a global mass social experiment. And because the effects won’t be as obvious as head injuries or lead poisoning, and because every child is different psychologically, it will likely be sometime before the impact of this new way of playing is understood. Magical thinking is a beautiful part of being a child. Imagining that you and your friends live in a castle or believing in faeries and unicorns, enrich a child’s life and develop creativity. This kind of play is a positive developmental step, a form of story telling that a child has control over. But what happens when imagination is stifled and much of the story telling is preprogramed pap? Imagination is infinite, wild, and free, it changes as a child changes, from day to day. Hello Barbie has a predetermined personality, which has been scrubbed thoroughly to be politically correct. 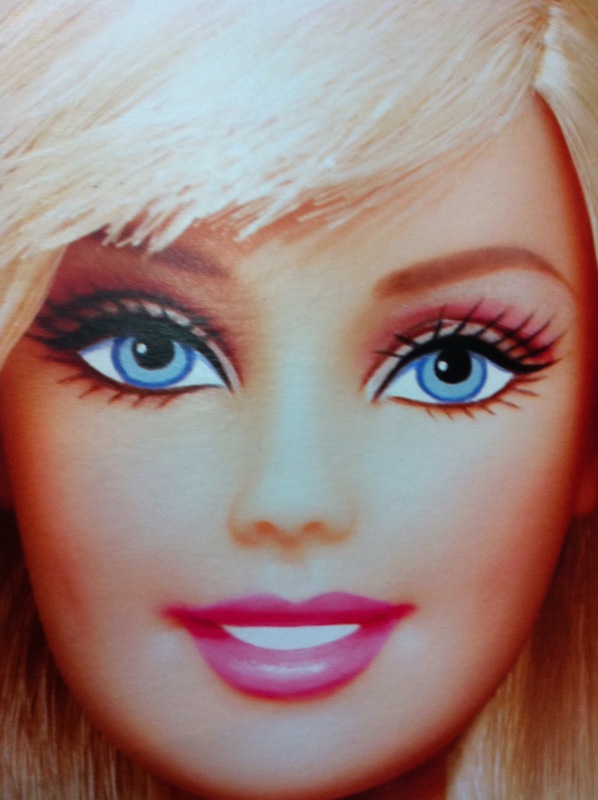 Although Barbie is able to extrapolate and reference information, she is, of course, completely unable to feel. At an age when developing social skills is critical for necessary personality development, having a “friend” like Hello Barbie does not gender realistic expectations about how a real friend would act and is simply a plastic personification of a warped and unhealthy relationship. Although Hello Barbie will not make any dangerous toys list and her saccharine coated words won’t leave the kind of scars that Jurassic World Velociraptor Claws might, there are other ways to be wounded in our rapidly evolving culture of Artificial Intelligentsia. This is so scary and freaky!!! I had never heard of it before. And kind of disgusting. I believe that people have been ill prepared for the “information age” – it happened so quickly….but when a blatant evasion of privacy enters into the hearts and minds of our children in such an insidious way it is time to take action to protect everyone’s individual rights.